The 11th International Symposium on Microchemistry and Microsystems (ISSM2019) will be held at Yangling International Convention Exhibition Hotel, Yangling, Shaanxi, China during May 17–20, 2019. The ISMM is a series of symposia that started in Kanazawa, Japan in 2009. It is now an annual international symposium which is held in Asia and Oceania regions: in Hong Kong (2010), Seoul, Korea (2011), Hsinchu, Taiwan (2012), Xiamen, China (2013), Singapore (2014), Kyoto, Japan (2015), Hong Kong (2016), Tasmania, Australia (2017), and Busan, Korea (2018). The symposium will mainly focus on separation science, microfluidic technologies, nano-bio devices, biomedicine, microsensors, and micro-nano engineering. International Conference on Nature Inspired Surface Engineering (NISE), a multidisciplinary conference, will be held on June 12-14, 2019. The conference will be hosted at the Stevens Institute of Technology, Hoboken, New Jersey, USA. NISE chair is Dr. Chang-Hwan Choi, Professor at the Department of Mechanical Engineering of Stevens Institute of Technology. Every six years when Transducers is held in Europe it is organized jointly with EUROSENSORS. Together this event forms the world’s premiere conference in Microsensors & Microactuators, integrated micro and nano systems and MEMS/NEMS attracting more than 1,000 attendees from academia, research institutions, government agencies and industries to exchange the latest advances in the field. Transducers 2019 and EUROSENSORS XXXIII will showcase major technological, scientific and commercial breakthroughs in mechanical, optical, chemical and biological devices and systems using micro and nanotechnology. Sensors Expo & Conference is the largest gathering of engineers and engineering professionals involved in sensors and sensing-related technologies. For over 30 years, more than 6,400 professionals gather from across the nation and 40+ countries to explore today's sensor technologies and find the solutions to tomorrow's sensing challenges. The 2019 event will host 300+ exhibitors on the Expo Floor, leading experts from the industry in the most comprehensive sensor-focused Conference Program, and unparalleled Event Features and Networking Opportunities. The Australia and New Zealand Nano and Microfluidics (ANZNMF) meeting is the annual gathering of the ANZ Microfluidics community, which is a network of researchers working in the field in Australia and New Zealand with the aim of facilitating the exchange of ideas and collaborative interactions. The next meeting will be held at the University of Wollongong, from 1st July to 3rd July, 2019. The symposium will provide an exciting forum for both formal presentations of frontier micro/nanofluidic research and ample opportunities for discussions, laboratory tours and networking. The program will cover all areas of micro/nanofluidics, from fundamentals, engineering developments, through to microfabrication, integration, nanotechnology, biosensors, future materials and devices, detection technologies for life science and chemistry, gene, protein and cell analysis and manipulation, chemical and biochemical synthesis, drug screening, and drug delivery. The 13th International Conference on Nitride Semiconductors 2019 (ICNS-13) will be held in Bellevue, Washington, Seattle’s Eastside on 7–12 July, 2019. The conference will present high-impact scientific and technological advances in materials and devices based on group-III nitride semiconductors, and will feature plenary sessions, parallel topical sessions, poster sessions and an industrial exhibition. The 7th annual workshop on “Micro- and Nanotechnologies for Medicine: Emerging Frontiers and Applications” will be hosted by the Center for Minimally Invasive Therapeutics (C-MIT). The advances in micro- and nanotechnologies are expected to open up new possibilities and applications in diagnostics, therapy, drug delivery and regenerative medicine. In this workshop, participants will acquire the fundamentals and advances in the fields of three dimensional bioprinting, bioMEMS, biomaterials and tissue engineering. Leading experts will present the latest advances in the development of novel micro- and nanotechnologies and address a range of different challenges that are of importance to biomedicine at the interface of engineering, medicine and biological sciences. The 49th European Microwave Conference (EuMC 2019) is held as part of the European Microwave Week. This is the largest event in Europe dedicated to a broad range of high frequency related topics, ranging from semiconductor materials, MMICs and microwave circuit design to radar, high speed and mobile system applications. A broad range of high frequency related topics, from materials and technologies to integrated circuits, systems and applications will be addressed in all their aspects: theory, simulation, design, and measurement. The 35th International Symposium on Microscale Separations and Bioanalysis will be held at the CH2M HILL Alumni Center at Oregon State University in Corvallis, Oregon, USA. It is part of the MSB Symposium Series, and it is intended to provide a forum for the discussion of the fundamental and application-driven aspects of microscale separations and bioanalysis at an international venue that assembles thought-leaders and emerging scientists from both academic and industrial communities. The series includes all major microscale separation techniques including CE, nanoLC, microfluidics, mass spectrometry, CE-MS, and lab-on-a-chip devices. The symposium covers all aspects of microscale separations; mass spectrometry; hyphenated detection methods; microfluidics; the fundamental aspects of micro/nanofluidics; and applications related to systems biology, pharmaceutical sciences, biotechnology, clinical diagnostics, food and health, nanoparticles, industrial chemicals, and advanced detection and instrumentation. The 20th EuroSimE will be held in the city of Hannover, Germany, end of March 2019, with the support of Gottfried Wilhelm Leibniz Universität Hannover, Institute of Microelectronic Systems, as local organizer. The EuroSimE conference addresses the results of fundamental research and industrial applications for vibrational, thermal, mechanical and multi-physics simulation and experiments of micro/nano-electronics and microsystems. NanoBioTech-Montreux is a unique Conference at the frontiers of Micro- and NanoTechnology developments for Biological, Chemical and Medical applications. The format includes plenary talks from invited speakers of international renown, followed by oral presentations describing original new research. The poster display sessions are preceded by oral “flash” presentations. The Applied Nanotechnology and Nanoscience International Conference is an annual event. It hosts high-profile plenary speakers, world-class researchers, oral and poster presentations, workshops, sponsor exhibits and afterworks. This event is a great opportunity to share your research findings with a wide audience, promote knowledge exchange, and network. We will attend the joint conference, 14th International Conference on Atomically Controlled Surfaces, Interfaces and Nanostructures (ACSIN-14)/26th International colloquium on Scanning Probe Microscopy (ICSPM26), which will be held at Sendai International Center in Japan from October 21 to 25, 2018. The first International Symposium on Atomically Controlled Surfaces and Interfaces was held in Tokyo, from November 19th to 22nd, 1991 by Thin Film and Surface Physics Division in The Japan Society of Applied Physics in commemoration of its 20th anniversary. Bearing in mind the developments in nanoscience and nanotechnology, the word "Nanostructures" has been added to the name of the conference since the fifth International Conference on Atomically Controlled Surfaces, Interfaces and Nanostructures (ACSIN-5) was held in Aix-en Provence in 1999. The host country of ACSIN has been determined based on a policy of continental rotation among Asia, Europe and America every two years. Following the successful series of ACSIN conferences in Tokyo (ACSIN-9, 2007), Granada (ACSIN-10, 2009), Saint Petersburg (ACSIN-11, 2011), Tsukuba (ACSIN-12, 2013), and Rome (ACSIN-13, 2016), ACSIN-14 will be held in Sendai, Japan this time. ICSPM, International Colloquium on Scanning Probe Microscopy has been held under the sponsorship of The Japan Society of Applied Physics, and was originally a series of the domestic conferences on SPM organized in 1985 first to stimulate the SPM related science and technology which were growing in Japan. In 1993, the conference was reorganized as an international colloquium and has been held annually. In 2000, ICSPM8 and Asian SPM 3 were held in conjunction to make a progressive development of this field. The Asian SPM is the conference organized to encourage interactions and exchange of participants from Asian and Pacific rim countries. In 2002, in order to celebrate the 10th anniversary of the colloquium, the ICSPM10 was successfully held in Hawaii. In 2005, ICSPM13 was held in conjunction with STM05 in Sapporo with more than 750 participants from 39 countries. In 2012, the 20th colloquium, ICSPM20 was held in Okinawa. In 2016, ICSPM24 was held in Hawaii, which was the 30th commemorable colloquium counting from the early domestic conferences. The rapid development of micro-nano technology speeds up the industrialization of the micro-and nano-research results, and the industry have achieved remarkable benefits. With the deep integration of technology and science research, the knowledge of micro-nano has been learnt and understood by more and more people. Micro-nano technology has brought tremendous changes in many fields including communications, transportation, healthcare, energy, environment, etc. 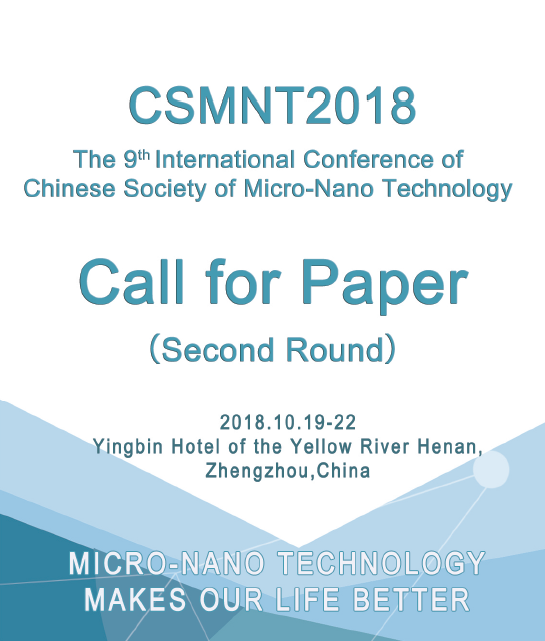 CSMNT2018 will be held in Zhengzhou with the topic "Micro-nano technology makes our life better''. The conference invites scientists in micro-nano technology all over the world to discuss the state-of-the-art and the development of the micro-and nano-technolgy. The conference will set up a variety of activities such as general report, session report, poster exchange, technical exhibition and technological innovation contest. The conference focused on the frontier of science and technology both in China and abroad, and target to improve people’s livelihood by encourage the industrialization of the technology. The communication platform will promote the collaborative innovation of research and application, and will encourage the development of micro-nano technology. Weclome to CSMNT 2018 sincerely. The 2018 IEEE 13th Nanotechnology Materials & Devices Conference (NMDC 2018) will be held in Portland, Oregon, USA on 14–17 October, 2018 at the Embassy Suites Downtown hotel. The IEEE Nanotechnology Materials and Devices Conference (NMDC) was founded in 2005. NMDC is an annual conference sponsored by the IEEE Nanotechnology Council (NTC). NMDC aims to develop critical assessment of existing work and future directions in nanotechnology research including nanomaterials and fabrications, nanoelectronics, nanophotonics, devices, and integration. 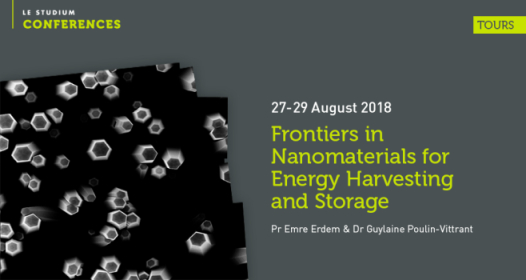 This conference will bring together key researchers from every sector in the nanotechnology research field, with a special focus on materials and devices. ICMEAS 2018 will be held in Beijing, China, from 12-14 October, 2018, which is organized by Hong Kong Society of Mechanical Engineers(HKSME).ICMEAS 2015, ICMEAS 2016 and ICMEAS 2017 were successfully held at Hong Kong, Embry-Riddle Aeronautical University- Asia and University of Birmingham respectively. ICMEAS 2018 is an international forum for the presentation of technological advances and research results in the fields of Mechanical Engineering and Automation Science. The conference will bring together leading researchers, engineers and scientists in the domain of interest from around the world. We warmly welcome prospected authors submit your new research papers to ICMEAS 2018, and share your valuable experiences with all of attaendees. The Emerging Sensing Technologies Summit 2018 (ESTS'18) brings together the sensing science and technologies communities from around the globe, from the current world-leaders in sensing research and industry applications to the future generations. It brings industry, academic and government bodies on 3 Expert panel discussions. It is an event not to be missed if you want to keep abreast of the latest advances and foster innovations in sensing developments and their applications. 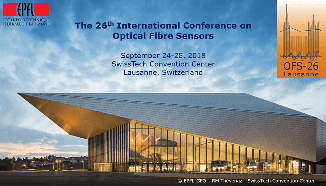 The International Conference on Optical Fibre Sensors (OFS), established in 1983, is acknowledged as the world’s leading conference on all topics related to photonic sensing technologies. OFS provides a forum for reporting and exchanging ideas on the latest advances in research and development on fibre-optic and photonic sensing. It has also contributed significantly to industrialisation and standardisation of the related devices and systems for field deployment. OFS is independently run and complies to the strictest standards for the evaluation of submissions. The 26th OFS conference (OFS-26) will be held in Lausanne, known as the “Olympic Capital” where the modern games were refounded, situated on the shore of Lake Geneva in the foothill of the Alps, during 24-28 of September 2018. It will offer plenary and invited talks, contributed oral and poster presentations, workshops, and exhibitions from industrial partners. Social events will also take place to foster networking among the participants in a friendly setting. This conference-like workshop is initiated and organized by the Fraunhofer IGD and the University of Rostock. It offers scientists, interested parties, and users in the area of sensor-based activity recognition and interaction the possibility to an exchange of experiences and a presentation of best-practice examples, as well as technical and scientific results. The workshop focuses on technologies for human activity recognition and interaction via inertial sensors (accelerometers, gyroscopes etc.) and their scientific applications. iWOAR 2018 aims to foster the relationship between academia and industry. They strongly encourage industry participants to present challenges, ideas, experiences, novel applications, and studies of existing methods. Accepted industrial papers will be presented in an industrial session during the workshop. The 4th Annual International Conference on Sensors and Electronic Instrumentation Advances (SEIA' 2018) is a forum for presentation, discussion, and exchange of information and latest research and development results in both theoretical and experimental research in sensors, transducers and their related fields. It brings together researchers, developers, and practitioners from diverse fields including international scientists and engineers from academia, research institutes, and companies to present and discuss the latest results in the field of sensors and measurements. 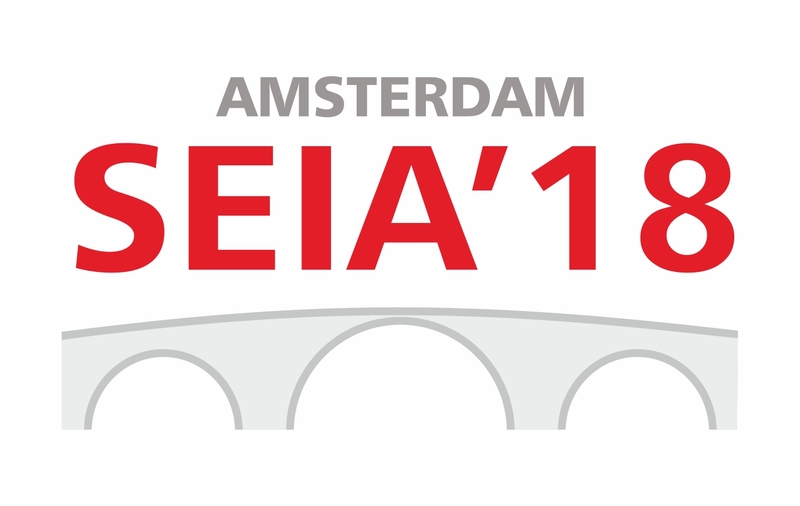 After successful events in 2015 (Dubai, UAE), 2016 (Barcelona, Spain) and 2017 (Moscow, Russia), the SEIA' 2018 will take place in Amsterdam, The Netherlands, 19-21 September 2018.The SEIA conference is focusing any significant breakthrough and innovation in Sensors, Electronics, Measuring Instrumentation and Transducers Engineering Advances and its applications with broadest concept. The conference is organized by the International Frequency Sensor Association (IFSA) and Asian Society of Applied Mathematics and Engineering (ASAME). The deadline for 2-page abstract (including illustrations and list of references) is 5 June 2018. The EUROSENSORS conference was held for the very first time 1987 in Cambridge, UK, and is Europe’s largest Conference in the field of Sensors, Actuators, Micro- & Nanosystems, as well as related materials and fabrication technologies. EUROSENSORS is a most important forum for experienced scientists, engineers and students from academia, research institutes and companies. The 10th International Conference on Advanced Infocomm Technology will be held in Stockholm between August 12 and 15, 2018, and it will be organized by KTH Royal Institute of Technology, School of Electrical Engineering and Computer Science. KTH will host this event in its campus at Kista. We plan to have the conference welcome reception at Stockholm City Hall, where Nobel Prize ceremony will be held every year. Three honorable plenary speakers have confirmed their attendance. Prof. Sune Svanberg is the top expert on sensing technologies and has been the Chair of Nobel Committee in Physics for two years. Prof. David N. Payne is the inventor of Erbium Doped Fiber Amplifier (EDFA), which is key component for long-haul telecom networks. It has been widely recognized that "no Payne no Gain". Jan Höller is the fellow researcher from Ericsson, who will present industry perspectives on 5G use cases and IoT. 2018 5th International Conference on Mechanics and Mechatronics Research (ICMMR 2018) will be held in Tokyo, Japan during July 19-21, 2018. The idea of the conference is for the scientists, scholars, engineers and students from the Universities all around the world and the industry to present ongoing research activities, and hence to foster research relations between the Universities and the industry. 2018 5th International Conference on Mechanics and Mechatronics Research (ICMMR 2018) is the main annual research conference aimed at presenting current research being carried out. The idea of the conference is for the scientists, scholars, engineers and students from the Universities all around the world and the industry to present ongoing research activities, and hence to foster research relations between the Universities and the industry. Cambridge Healthtech Institute's Fourth Annual Biodefense World Summit brings together leaders from government, academia, and industry for compelling discussions and comprehensive coverage on pathogen detection, point-of-care, biosurveillance, sample prep technologies, and bio recovery. Across three days of programming, attendees can expect exceptional networking opportunities in the exhibit hall, engaging panel discussions, and shared case studies with members of the biodefense community from technology providers to policy makers. The 2017 summit saw more than 250 participants with 35% of attendees titled as scientist/technologist, 30% as executive/director, and 11% as professor. A new conference has been launched to provide a forum for open discussion and development of emerging microelectronic devices and technologies. The goal of the conference is to provide an interactive environment for establishing collaborations, exchanging ideas, and facilitating discussion with potential users and sponsors of MicDAT' 2018. MicDAT' 2018 will be organized by IFSA with technical support of Excelera, S.L. (Spain). The purpose of MicDAT' 2018 is to bring together leading international researchers, engineers and practitioners interested on microelectronic devices and appropriate technologies. The conference will offer plenary and invited talks, contributed oral and poster presentations, special sessions, tutorials and exhibition of commercial products. Social and cultural events will also take place to foster networking among the participants in a friendly manner. Following up on the line of previous meetings, EW ’18 will be the forum to discuss recent progress in the field of electrowetting and related research and technology. An International Conference of Biomedical Information Perception & Microsystems will be hosted in one of the most glamorous cities in China, Chengdu, in June 13-15 of 2018. This conference aims to provide an international forum for biomedical scientists and engineers worldwide to share the latest advances in the booming fields of bioinformation perception and microsystems for biomedical applications. We believe that this gathering will inspire new efforts to expand the frontiers of research and development in these important fields, and promote multidisciplinary research collaboration across institutions and countries. The Conference is sponsored by Southwest University (Chongqing, China) and the University of Electronic Science & Technology of China (Chengdu, China). The ICMFLOC 2018, the 2nd International Conference of Microfluidics, Nanofluidics, and Lab-on-a-chip, will be held in Beijing, China during June 8-12, 2018. This conference aims to bring together leading academic researchers to exchange and share their experiences and research results on all aspects of microfluidics, nanofluidics ,and lab-on-a-chip. It also provides a premier interdisciplinary platform for people to present and discuss the most recent innovations, trends, and concerns as well as practical challenges encountered and solutions adopted in the field. This conference is organized by the Institute of Mechanics of Chinese Academy of Sciences and Beijing University of Technology. 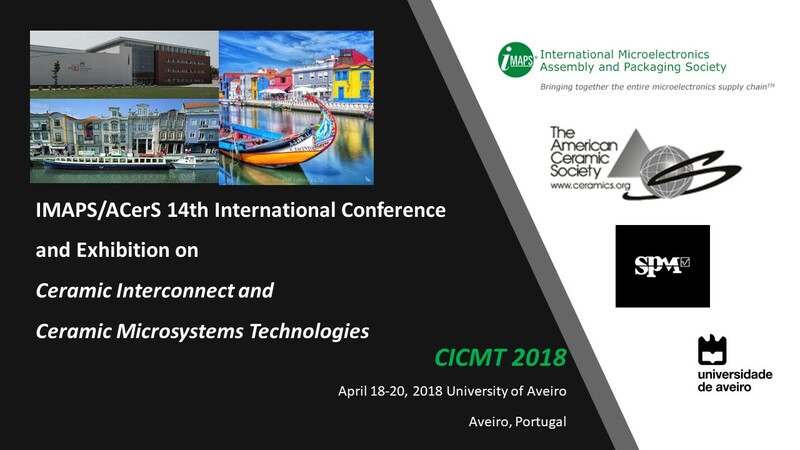 The conference will include invited plenary lectures, contributed oral and poster presentations on the current status and future directions of microfluidics, nanofluidics and lab-on-a-chip. The eighteenth in the series of Hilton Head Workshops on the science and technology of solid-state sensors, actuators, and microsystems will be held on June 3-7, 2018. Previous Workshops have provided a highly interactive forum for North, Central and South American researchers to present and discuss recent advances in microfabrication technologies for sensing and actuation devices and microsystems for physical, chemical, and biological applications. This year, we hope to increase the interactive and networking success of this meeting as we are also inviting all previous Hilton Head Workshop attendees to attend as well as submit abstracts and present papers. The fifth in the series of Microneedle Conferences will be held on May 29 - June 1, 2018 in Vancouver, Canada. Previous Conferences have provided a unique international forum for academics and industry involved in the design, development, application and clinical translation of microneedle technology. As in previous years, the conference will offer invited talks as well as contributed oral presentations, posters, and panel discussions. The Micronano System Workshop (MSW) and Superhydrophobicity and Wetting Symposium (SWS) will be organised as a combined event at Aalto University, Espoo, Finland, from May 13th to 18th, 2018. Additionally, an intensive course on surface tension and wetting will be arranged for newcomers in the field, and for scientists and engineers who want to brush up their knowledge. The IEEE-NEMS is a premier conference series sponsored by the IEEE Nanotechnology Council focusing on the promotion of advanced research areas related to MEMS, nanotechnology, and molecular technology. Prior conferences were held in Los Angeles (USA,2017), Matsushima Bay and Sendai (Japan, 2016), Xian (China, 2015), Hawaii (USA, 2014), Suzhou (China, 2013), Kyoto (Japan, 2012), Kaohsiung (Taiwan, 2011), Xiamen (China, 2010), Shenzhen (China, 2009), Hainan Island (China, 2008), Bangkok (Thailand, 2007), and Zhuhai (China, 2006). The IEEE-NEMS Conference typically attracts over 600 attendees with participants from more than 20 countries and regions worldwide. Micro- and nanomotors are a class of micromachines that convert external energy, being chemical, electromagnetic, acoustic or thermal in origin, into mechanical motion. These tiny machines swim at micrometer or nanometer scale, and are capable of operations that are well suited for a wide range of exciting applications. As a result, the research of micro- and nanomotors have, over the last two decades or so, received mounting interest across many disciplines. To serve the purpose of sharing knowledge and building collaborations, the 2nd National Conference of Micro/nanomotors of China (2nd NCMNMC) will be held in Shenzhen, China, from April 21–22. This conference is endorsed and initiated by the Chinese Society of Micro-Nano Technology (CSMNT), and is co-organized by the Satellite Society of Micro-Nano Actuators and Microsystems, and by Harbin Institute of Technology (Shenzhen). The Ceramic Interconnect and Ceramic Microsystems Technologies (CICMT) conference brings together a diverse set of disciplines to share experiences and promote opportunities to accelerate research, development and the application of ceramic interconnect and ceramic microsystems technologies. This international conference features ceramic technology for both microsystems and interconnect applications in a dual-track technical program. The Ceramic Interconnect track focuses on cost effective and reliable high performance ceramic interconnect products for hostile thermal and chemical environments in the automotive, aerospace, lighting, solar, defense/security, and communication industries. The Ceramic Microsystems track focuses on emerging applications and new products that exploit the ability of 3-D ceramic structures to integrate interconnect/packaging with microfluidic, optical, micro-reactor and sensing functions. Tape casting, thick film hybrid, direct write and rapid prototyping technologies are common to both tracks, with emphasis on materials, processes, prototype development, advanced design and application opportunities. The aim of the 2018 International Conference On Nanoscience and Nanotechnology (ICONN 2018) is to bring together Australian and International communities (students, scientists, engineers and stakeholders from academia, government laboratories, industry and other organisations) working in the field of nanoscale science and technology to discuss new and exciting advances in the field. ICONN will cover nanostructure growth, synthesis, fabrication, characterization, device design, theory, modeling, testing, applications, commercialisation, and health and safety aspects of nanotechnology. PowerMEMS welcomes abstracts addressing innovations related to miniaturization for power generation and energy conversion. Its topics of interest range from basic principles, to materials and fabrication, to devices and systems, to applications. All energy domains are of interest, including, but not limited to: electrical, mechanical, chemical, thermal, magnetic, electrostatic, ferroelectric, optical, nuclear, and fluidic energy domains. Micro-Nano Science & Technology Division in JSME (Japan Society of Mechanical Engineers) promotes academic activities to pioneer novel research topics on microscopic mechanics. The division encourages interdisciplinary studies to deeply understand physical/chemical/biological phenomena in micro/nano scale and to develop applied technologies. Since 2009, past seven symposiums on Micro-Nano Science & Technology have taken place successfully incorporating with the related societies of electronics and applied physics. We have promoted in-depth studies and interactions between researchers/engineers in various fields with more than 160 papers presented at each symposium for the past few years. Today we are pleased to announce that “the 8th Symposium on Micro-Nano Science and Technology” will be held from October 31 through November 2, 2017 in Hiroshima, Japan. Two cooperative symposiums will be held in the same venue and at the same time. We invite original contributions as research papers and look forward to fruitful discussions. Following Dublin, Ireland in 2016, Gyeongju in 2015 and San Antonio, Texas in 2014, and, the Savannah venue will allow you to discover America's southern region. We anticipate over 900+ worldwide scientists and professionals engaged in research on and the use of integrated microsystems and nanotechnology for chemistry and life sciences. Worldwide, accurate handling (e.g. dosing, measurement and control) of small and extremely small mass flow rates of both gases and liquids is becoming more and more important, driven by numerous economically important applications in for instance semiconductor industry, analytical instrumentation, food, pharmacy, energy, bioanalytical systems, and micro reaction systems. The focus of this conference is mainly on the technology, components, devices and systems that enable the application and biology in microfluidic systems. We invite submission of papers on systems and devices for accurate handling (e.g. dosing, measurement and control) of (extremely) small mass flow rates of both gases and liquids, and corresponding measurement and control principles. In September 2017, the 43rd edition of MNE will be held at INL – International Iberian Nanotechnology, in Braga – Portugal. This is a great opportunity to reinforce links within this international community and to be enjoy Portugal, the hospitality, the culture, the people and the Atlantic coast climate and of course the excellent food & wine. This year we look forward to welcoming you to Braga and to INL! Micro/nanomachines are able to automatically move and perform complex tasks. They are promising to make revolutionary changes in many fields, such as biomedicine, micro/nanoengineering, environmental monitoring and remediation, food safety, and security. In order to promote the development of micro/nanomachines, three symposia were successfully organized in September 2012 (Dresden), July 2014 (Hannover) and July 2016 (Hannover). It is worth celebrating that in 2016, the Nobel Prize in Chemistry was awarded jointly to Jean-Pierre Sauvage, Sir J. Fraser Stoddart and Bernard L. Feringa for their outstanding achievements in the design and synthesis of molecular machines. This event is a milestone and has encouraged a growing number of researchers to be devoted to this attractive field, bringing out many amazing results in designing, understanding, and applying micro/nanomachines. Simultaneously, there are still great challenges to address as well as marvelous prospects to realize. 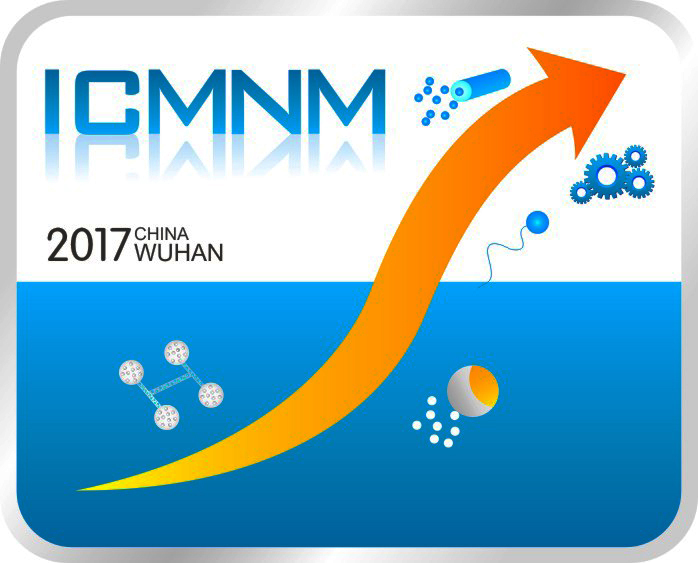 In order to promote these advancements, the ICMNM 2017 to be held in Wuhan on August 25-28, 2017 will provide a perfect venue for global researchers interested in micro/nanomachines to share results, build friendships, establish collaborations and spark ideas. This conference will focus on the theme “Propulsion at Micro/nanoscale”, which includes three sessions: micro/nanomotors (active colloids), molecular and DNA machines, and microactuators. More than 200 researchers from around the world are expected to attend this conference. We are confident that you will enjoy this upcoming conference. Welcome you to join us and to visit Wuhan, where you will enjoy Chinese Chu culture and Han Show at the same time! You are cordially invited to join our community of leading academics and scientists from biotechnology & pharmaceuticals organizations who are working to transform healthcare by harnessing the developments of these new and overlapping technologies. To foster a collegiate atmosphere and enable the widest possible attendance, the main conference program on July 25-26, is free to attend for delegates. MARSS, the annual International Conference on Manipulation, Automation and Robotics at Small Scales, will be held for the second time from 17 to 21 July, 2017 in Montréal, Canada. This recently established conference has the ambition to be the flagship forum for cross-disciplinary R&D communities to discuss current activities related to manipulation and automation (including measurement and characterization) at micro and nano scales, and in all kinds of small scale robots and their applications. The ICMNHMTE 2017: 19th International Conference on Micro, Nanoscale Heat and Mass Transfer Engineering aims to bring together leading academic scientists, researchers and research scholars to exchange and share their experiences and research results on all aspects of Micro, Nanoscale Heat and Mass Transfer Engineering. It also provides a premier interdisciplinary platform for researchers, practitioners and educators to present and discuss the most recent innovations, trends, and concerns as well as practical challenges encountered and solutions adopted in the fields of Micro, Nanoscale Heat and Mass Transfer Engineering. 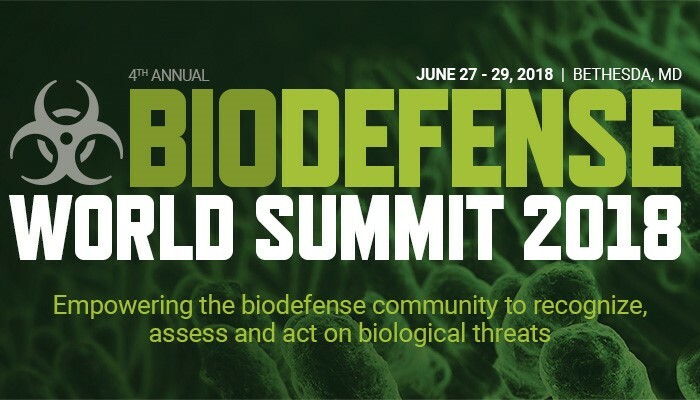 The Knowledge Foundation's Third Annual Biodefense World Summit brings together leaders from government, academia, and industry for compelling discussions and comprehensive coverage on pathogen detection, sample prep technologies, point-of-care, and biosurveillance. Across the four-track event, attendees can expect exceptional networking opportunities in the exhibit hall, across panel discussions, and shared case studies with members of the biodefense community from technology providers to policy makers. Advances in Microfluidics & Nanofluidics (AMN) aims to provide a forum to promote scientific exchange and to foster closer networks and collaborative ties between leading international micro/nanofluidics researchers across various disciplines from engineering, physics, chemistry, biology, material science and biotechnology. Former meetings were held in Hong Kong (2009), Singapore (2011), Dalian, China (2012), Notre Dame, USA (2013), Taipei, Taiwan (2014), Beijing, China (2015). The scope of AMN is deliberately broad and interdisciplinary, encompassing the latest advances and the most innovative developments in micro/nanoscale science and technology. The 2017 meeting will will be focussed on New Directions in Electrokinetic Analyte Pretreatment, Manipulation and Detection Strategies for Biomicrofluidic Applications. The ISMM is a series of symposia that started in Kanazawa, Japan in 2009. It is now an annual international symposium which is held in Asia and Oceania regions: Hong Kong (2010), Seoul, Korea (2011), Hsinchu, Taiwan (2012), Xiamen, China (2013), Singapore (2014), Japan (2015) and Hong Kong (2016). The 2017 symposium will focus on separation science, microfluidic technologies, nano-bio devices, biomedicine, microsensors, and micro-nano engineering. APCBM is a bi-annual meeting established especially for the Asian-Pacific region to attract researchers in the field of chemical micro reaction technology to contribute with their research results in the field of chemical and biological processing in micro-structured reactors or chips including investigation of micro flow patterns (continuous flow, droplets, emulsions, spray, etc. ), as well as simulation, modelling and fabrication. The 1st APCBM was held in Hong Kong in 2009, with subsequent meetings in Nanjing, China (2011), Seoul, Korea (2013), and Danang, Vietnam (2015). 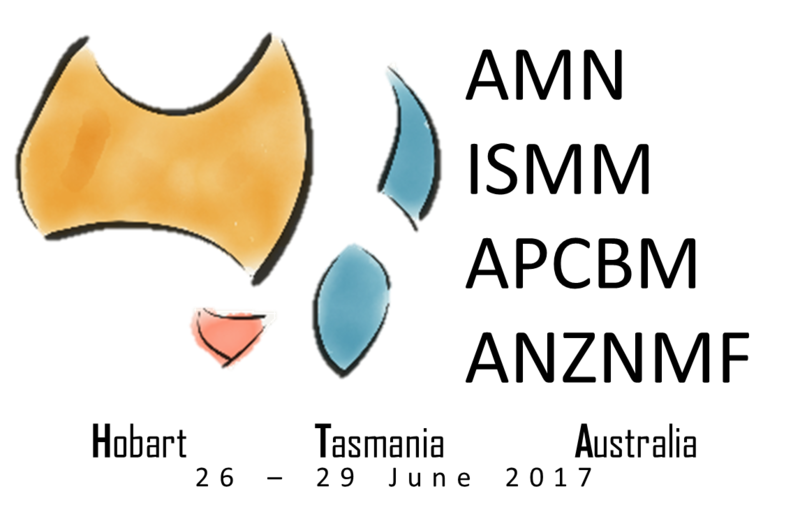 The ANZNMF meeting is the annual gathering of the ANZ Microfluidics community, which is an informal network of researchers working in the field in Australia and New Zealand with the aim of facilitating exchange of ideas and collaborative interactions. The network was inaugurated at the first ANZNMF meeting in Melbourne at Monash University in 2009. Successive meetings were hosted by University of New South Wales (UNSW) in Sydney (2011), the MacDiarmid Institute in Wellington (2012), University of South Australia and Flinders University in Adelaide (2013), University of Tasmania in Hobart (2014), RMIT University, Deakin University and the Melbourne Centre for Nanofabrication in Melbourne (2015) and Griffith University in Brisbane (2016). EuroNanoForum 2017 will focus on how nano and materials technologies can strengthen competitiveness across all European industries. The discussion will also extend to framework conditions such as education, standards, regulations, IPR and safety issues, as well as entrepreneurship and industrial policy. The programme will include sessions on finance and funding through European and National programmes, in particular Horizon 2020, smart specialisation and public-private partnership initiatives. The Conference will be held on June 18-22, 2017 in Kaohsiung, Taiwan, and the venue is at the Kaohsiung Exhibition Center (KEC) next to the port of Kaohsiung. Located south of Taiwan, Kaohsiung is one of the major ports in Asia and also the 2nd largest city of Taiwan. The KEC is situated on the seaside close to the downtown, offering the diversified experience for meeting and leisure. The Conference will provide the forum to share the latest progress in physical, chemical, and biological microsensors/microactuators, high-performance integrated microsystems, and optical, RF, fluidic, biomedical and power MEMS, as well as the most advanced technologies in micro/nano fabrication, packaging, and design; with short courses, oral presentations, posters, exhibitions, technical tours, and social events. The world's premiere conference in MEMS sensors, actuators and integrated micro and nano systems welcomes you to attend this four-day event showcasing major technological, scientific and commercial breakthroughs in mechanical, optical, chemical and biological devices and systems using micro and nanotechnology. The conference will begin on Sunday, June 18 with industrial session that will be proposed shortly, conference registration and a Welcome Reception. The conference will begin Monday morning with plenary sessions and then breakout into parallel sessions throughout the duration of the conference. The Exhibition portion will take place Monday through Wednesday, giving opportunities for companies and other scientific associations to demonstrate their latest products and services. Social events are being designed for family participation in Kaohsiung and surrounding areas. We look forward to seeing you in Kaohsiung, Taiwan! Participate at SPIE Microtechnologies, the European meeting where the latest progress in microtechnology and nanotechnology systems and applications are presented with a focus on development in the areas of smart sensors, cyber-physical systems, bioMEMs, medical devices, and integrated photonics. Abstract submissions now being accepted. Welcome to the 25th International Conference on Optical Fiber Sensors (OFS-25) in the beautiful Jeju Island of Korea from April 24th to 28th, 2017. This conference is the twenty-fifth in the series of the leading international forum to report the most up-to-date technologies and scientific advances in optical fiber and guided wave optical systems for instrumentation, sensing and imaging. This conference series happens approximately every 18 months with the first event being held in London in 1983. Over the years, OFS conferences have established a strong reputation for state-of-the-art presentation and information exchange on optical fiber sensing, commercial and scientific adoption. They have facilitated global dialogue and discussion with leading global experts. We would like to invite all of you to take advantage of this unique opportunity to visit beautiful Jeju Island and actively participate in this conference. We hope to provide an excellent forum for interactions and developing friendships with participants from various countries and various continents, who are involved in research, development, engineering, manufacturing and application of optical fiber Sensing. Jeju Island is located off the south coast of Korea with a world-class resort area with easy access. It has a mild subtropical climate, with visa-free entry for 180 countries, and is designated as UNESCO World Nature Heritage. The conference place is a special Hotel, equipped with modern facilities and commands a gorgeous view of Jeju city. I am looking forward to seeing all of you in Jeju Island. The joint ASPEN (Asian Society for Precision Engineering and Nanotechnology)/ASPE (American Society for Precision Engineering) Spring Topical Meeting on the Manufacture and Metrology of Structured and Freeform Surfaces for Functional Applications is designed to focus industry, academic and governmental interest, and expertise on the advancement of technologies essential to the manufacture of structured and freeform surfaces. Structured and freeform surfaces with functional characteristics have been widely used in many fields of industrial applications such as advanced optics, large-scale optics, aerospace, automotive, telecommunications, biomedical, micro-fluidics, etc. The meeting aims to provide an excellent opportunity and platform for academics and industries to discuss topics on the physical, mechanical, electronic, and chemical aspects of the design, fabrication and measurement of structured and freeform surfaces and their functional characteristics. The purpose of this conference is to provide an international technical forum to showcase recent advances in microfluidics, BioMEMS, and medical microsystems. The 30th IEEE International Conference on Micro Electro Mechanical Systems (MEMS 2017) is one of the premier annual events reporting research results on every aspect of Microsystems technology. This Conference reflects from the rapid proliferation of the commitment and success of the Microsystems research community. 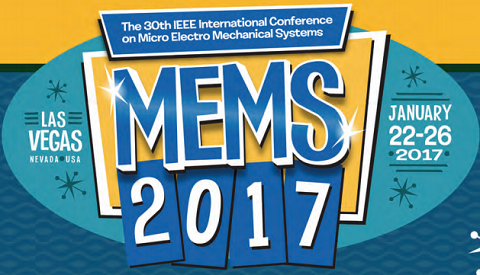 MEMS 2017 will be held in Las Vegas, Nevada, USA, from January 22 - 26, 2017. The conference has a track record in bringing together Micro/Nano Science and Industry in an international context. The objective of our conference is to catalyze innovation related to miniaturization for power generation and energy conversion. Its topics of interest range from basic principles, to materials and fabrication, to devices and systems, to applications. All energy domains are of interest, including, but not limited to: electrical, fluidic, gravitational, hydraulic, magnetic, mechanical, nuclear, optical, piezoelectric, photovoltaic, pneumatic, thermal energy domains and x-ray. IEEE International Symposium on Micro-NanoMechatronics and Human Science(MHS) has been held from 1990 as the symposium on Micro Machine and Human Science, and organized by Nagoya University and The City of Nagoya. 3D IC will cover all 3D IC topics, including 3D process technology, materials, equipment, circuits technology, design methodology and applications. The conference invites authors and attendees to submit and interact with 3D researchers from all around the world. APCE2016 is committed to continuing its tradition as a platform to share forefront scientific and technological advances in microscale separations and analysis. It also promotes stimulating discussions and fosters interdisciplinary research collaboration and networking. You will find new advancements in areas such as chromatography, electrophoresis and mass spectrometry. Microfluidics and nanomaterials as well as analytical methods made by combining these techniques will be highlighted. New areas of applications have emerged, focusing on food safety, environment, biomedical, proteomics, metabolome and pharmaceuticals. NanoBioTech-Montreux is a unique Conference at the frontiers of Micro- and NanoTechnology developments for Biological, Chemical and Medical applications. The format includes plenary talks from invited speakers of international renown, followed by oral presentations describing original new research. The poster display sessions are preceded by oral “flash” presentations. Since its first edition in 1997, we invited many high reputation scientists from all over the world. Interconnecting Wafer-Level packaging, 3D, and MEMS, the International Wafer-Level Packaging Conference (IWLPC) has been at the forefront of packaging technology evolution; it is one of the premier packaging conferences. Attendees from over 16 countries gather in the heart of Silicon Valley to attend IWLPC to enrich themselves on the latest technology and business trends. Going into its 13th year the IWLPC is co-produced by Chip Scale Review, the leading international magazine addressing the semiconductor packaging industry and SMTA, the distinguished global association in electronic assembly and manufacturing. The MNC conference is now in its 28th year and is intended to provide a forum for discussing lithography science and process technology using photon, electron, ion, other energetic particles and nanomaterials. This conference covers not only their applications to micro-and nano-structure fabrication and related physics and devices, but also their fusion applications with other fields like bio, medical information, and communication technology. The conference brings together engineers and scientists from all over the world to discuss recent progress and future trends in the fabrication and application of micro- and nanostructures and devices. Applications in electronics, photonics, electromechanics, environment, life sciences and biology are also discussed. The conference will be held at the Technical University of Denmark in Lyngby. The main conference programme takes place from 13th - 15th September 2016. Papers are invited that present original research and development in processes and process chains for multi-material nano/micro/meso scale manufacture. This international event brings together both academic as well as the industry leaders to discuss and debate about the state-of-the-art and future trends in packaging and integration technologies. MNF2016 focus on aspects of micro and nano flows, encompassing both, thermofluids engineering and biomedical fluid mechanics. There is particular value in the nature of this meeting: it seeks to provide knowledge of the latest international achievements and provides a good opportunity for researchers to present and discuss their work across disciplines in biomedical and thermofluid engineering. We invite all engineers, scientists, industrialists, clinicians, modellers and experimentalists working in the field to attend. This conference aims at bringing together researchers from complementary horizons to contribute to advances in the field of surface tension driven phenomena. The conference will consequently be organized along on single session to foster multidisciplinary points of view on surface tension fundamentals and applications. Eurosensors conference will present latest results on solid state based sensors, actuators, micro and nanosystems as well as the emerging and related technology and application areas. Oral and poster presentations have to show innovative ideas, scientific and technological advancement, new developments and emerging technologies. The workshop covers the areas of materials, processing technology and devices. The organising committee invites papers in any subject related to Micromachining, Micromechanics and Microsystems. This conference, sponsored by the Technical Committee on Micro- and Nanosystems (MNS), an integral part of the ASME Design Engineering Division, will provide researchers in industry, academia, and government a forum to exchange scientific and technical information related to recent developments and emerging issues in the design, mechanics, control, and manufacturing of micro- and nanoscale systems. Manuscripts are solicited from experimental, computational, and theoretical studies. Submissions from researchers both within and outside of the traditional mechanical engineering community are strongly encouraged. Keynote and panel presentations by leading figures in academia and industry will also be included. The 2016 International Conference on Optical MEMS and Nanophotonics (OMN2016) will cover the most recent advances emerging from the extensive research and development in optical MEMS and nanophotonics that is continuing at academic, government and industrial laboratories worldwide. The conference will cover the latest advances in fundamental and applied research on micro-optical and nanophotonic devices and systems; the latest advances in materials and process technologies relevant to optical MEMS and nanophotonics; and the latest advances in the applications of optical MEMS and nanophotonic devices and systems. This symposium is to gather leading scientists in MEMS/NEMS in the world with outstanding scientists and young researchers in China to discuss the state-of-the-art and the future of micro- and nano-technology. This symposium will be an excellent platform for academic exchange, possibly resulting in decent collaborations between you and Chinese scientists in MEMS/NEMS. The aim of OPTOFLUIDICS2016 conference is to provide a forum to promote scientific exchange and to foster closer networks and collaborative ties between leading international optics and micro/nanofluidics researchers across various disciplines. 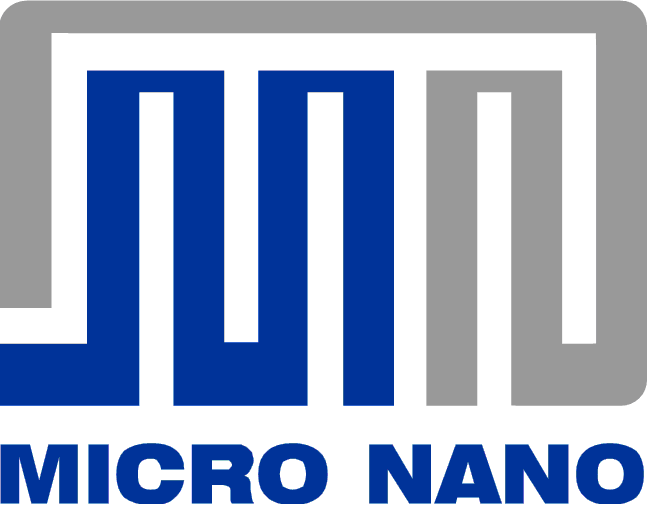 3M-NANO is the annual International Conference on Manipulation, Manu­facturing and Measurement on the Nanoscale; it will be held on 18-22 July 2016 in Chongqing, China. The ultimate ambition of this conference series is to bridge the gap between nanosciences and engineering sciences, aiming at technology opportunities and new markets. The advanced technologies for manipulation, manufacturing and measurement at nanoscale promise novel revolutionary products and methods in numerous areas of application. Scientists working in research fields related to 3M-NANO topics are invited to submit papers. The subject area of the conference is AC electrokinetic methods in general and the application areas of dielectrophoresis in particular, including DC, insulator methods and liquids. Topics, including emerging dieletrophoretic techniques, discoveries in governing physical behavior, and applications of electrokinetic techniques in health sciences, are welcomed. The full range of topics will be addressed in oral and poster sessions, including special focus sessions on: the theory and understanding of polarization phenomena; novel applications; and an industrial focus and presentation session. The conference will examine the latest developments in the technologies and techniques being used for progressing medical research, as well as the challenges and future of microfluidics. The conference will be an excellent opportunity to learn, share, discuss and engage with the most current microfluidics research and technology. The International Conference on Nanochannels, Minichannels, and Microchannels (ICNMM) provides a global platform for researchers to exchange information and identify research needs in the emerging areas of micro-scale and nano-scale transport processes and systems encompassing many engineering and bio-medical disciplines. 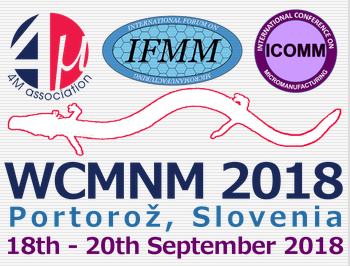 ICNMM's main objective is to promote the scientific study of thermofluid transport phenomena, related devices, and enabling technologies at the mini-, micro- and nano-scales. As a rapid developing field, flexible and stretchable electronics offers unsurpassed features for new generation electronics. ISFSE16 creates an exclusive exchange platform addressing manufacturers and users of a technology of the future across a wide range of industry community, and it offers a unique opportunity to gather the researchers together to exchange the information, forge the ideas, and initialize collaboration. Quite a few scholars have been confirmed to join us. APCOT conference provides an interactive forum for presentation and discussion on transducers and micro/nano technology. Aside from researchers in the Asia Pacific region: Australia, China, Hong Kong, Japan, Korea, Singapore and Taiwan; the conference welcomes participants from other regions who are interested in developing professional ties to and/or exploring career opportunities in the region. The conference should serve as an ideal forum to establish relationships from within Asia and Oceania and other regions of the world. The 10th International Meeting on Electrowetting, held in Taipei, 2016, aims to provide a forum to promote scientific exchange and to foster closer networks and collaborative ties between leading electrowetting researchers. The scope of the meeting is broad and interdisciplinary, encompassing the latest advances and the most innovative developments in electrowetting. We target to have diverse aspects of electrowetting presented in the meeting such as fundamentals, modeling, materials, fabrication, electro-droplet interaction, lab on a chip, optics, electronics, energy, environment, industrialization, and other emerging topics. The objective of this conference is to provide a forum to exchange the most advanced scientific knowledge of research in microfluidics, nanofluidics and lab-on-a-chip technology, and to inspire new efforts to expand the frontiers of these research and development. The EIPBN Conference is dedicated to lithographic patterning science, nanomanufacturing process technology, and the applications these methods enable. For 57 years, and 60 meetings the conference has brought together engineers and scientists from industries and universities from all over the world to report on and discuss recent progress and future trends. 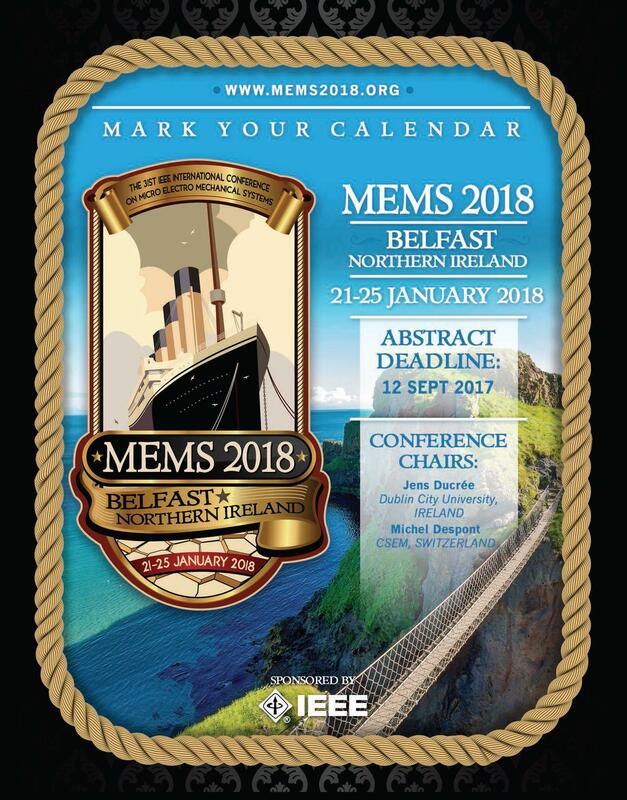 This unique single-meeting event brings together participants interested in MEMS/MOEMS processing and those interested in design tools and methods to facilitate the design of MEMS/MOEMS. All aspects including design, modeling, testing, micro-machining, integration and packaging of structures, devices and systems are addressed in two main Conferences, Special Sessions and Invited Talks. ISMM2016 will be held in Hong Kong, from May 30 to June 1, 2016, at the University of Hong Kong. The symposium will mainly focus on separation science, microfluidic technologies, nano-bio devices, biomedicine, microsensors, and micro-nano engineering. pHealth 2016 conference aims to further emphasize on the integration of biology and medical data, systems and information using mobile technologies through the development of micro-nano-bio smart systems for personalized health, virtual care, precision medicine, big bio-data management and analytics as well as security, privacy and safety issues. The Ontario-on-a-Chip (OOAC) Symposium is an annual event that brings together scientists, engineers, technologists, and other parties from government, industry, and academia in one forum to facilitate a technology-focused discussion on microfluidicsand lab-on-a-chip devices, and their numerous applications in chemistry, physics, biology, and the life sciences. The 5th International Workshop on Piezoelectric MEMS (PiezoMEMS 2016) will be held during May 24-25 at MINATEC Center in Grenoble, France. This workshop will be a great opportunity to bring together researchers and engineers from industry, R&D centers and academia working on MEMS, or using MEMS, to learn about the state of the art in piezoMEMS based on materials from PZT family, lead free family or AlN family, and to report and discuss on progress in the field. INEC 2016 is the 7th in a series of very successful conferences initiated by IEEE Singapore Section. It provides an international forum for the presentation and discussion of recent advances in nanoelectronics. The INEC 2016 is a three-day program and will include oral and poster sessions as well as invited and keynote speeches. The INEC 2016 organizing committees sincerely invite your participation and attendance. The conference will invite contributions describing the latest scientific and technological research results in subjects including, but are not limited to: Nanophotonics/Microoptics; Nanomaterials; Carbon Nanotube based Devices and Systems; Nanoscale Robotics, Assembly, and Automation; Molecular Sensors, Actuators, and Systems; Integration of MEMS/NEMS with Molecular Sensors/ Actuators; Micro-fluidics and Nano-fluidics; Micro/Nanomechanics and instrumentation; Nano-biology, Nano-bio-informatics, Nano-medicine; Micro and Nano Fabrication and Micro/Nanoelectro-mechanical Systems (M/NEMS). The 29th IEEE International Conference on Micro Electro Mechanical Systems (MEMS 2016) will be held in Shanghai, China, from January 24 - 28, 2016. 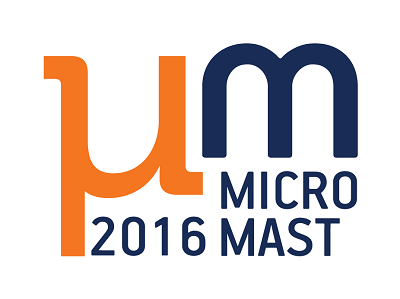 MEMS 2016 will report latest research results on every aspect of Microsystems technology, reflecting the continuing commitment and success of the international MEMS community. 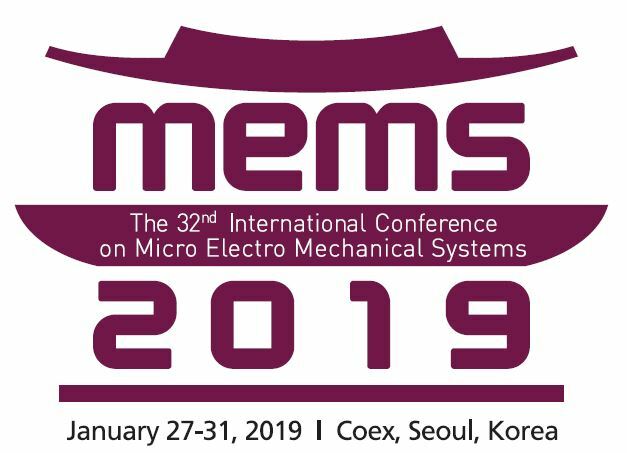 In recent years, the IEEE MEMS Conference has attracted more than 700 participants along with over 800 abstract submissions, and has created the forum to present over 200 selected top-quality papers in podium and poster/oral sessions. Its technical sessions provide ample opportunity for interaction between attendees, presenters and exhibitors. The conference is intended to provide a highly interactive forum to bring together researchers, educators and practitioners around the world with the aim of collecting, exchanging and promoting the knowledge and new advances on the state-of-the-art research and development in this interdisciplinary emerging field. The objective of our conference is to catalyze innovation in micro- and nano-scale technologies for power generation and energy conversion. Broadly speaking, PowerMEMS focuses on all aspects of energy conversion and processing at the micro and nano scales. Its topics of interest range from basic principles, to materials and fabrication, to devices and systems, to applications. All energy domains are of interest, including, but not limited to: electrical, fluidic, gravitational, hydraulic, mechanical, nuclear, optical, pneumatic and thermal energy domains. In partnership with SIMTech, we present the third annual Lab-on-a-Chip Asia, covering Microfluidic Technologies, Point-of-Care Diagnostics and Organ-on-a-Chip. Join the pre-event training course, two conference rooms, panel discussions, workshops, exhibition and tour of SIMTech’s Microfluidics Foundry. Nanotechnology is one of the most frequently used applications in sciences. We do believe that nanotechnology is delivering nowadays many results that benefit to society. However research needs sometimes an important funding and we want to be a part of this link between searchers and funding sources. In order to add more visibility to your work we would like to invite you to highlight the application side of your paper. µTAS 2015 continues a series of Conferences that are the premier forum for reporting research results in microfluidics, microfabrication, nanotechnology, integration, materials and surfaces, analysis and synthesis, and detection technologies for life science and chemistry. The Conference offers plenary talks as well as contributed oral presentations and posters selected from submitted abstracts. The MOC '15 is intended to provide a central forum for an update and review of scientific and technical information covering a wide range of microoptics field from fundamental researches to systems and applications. 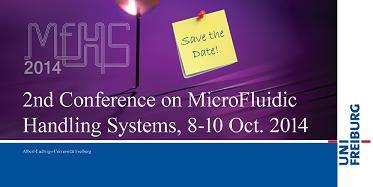 Global Engage are pleased to announce the Microfluidics Congress 2015, which will be held on 20th-21st October 2015 in London, UK. The event is set to be co-located with our 3rd qPCR and Digital PCR Congress and the 2nd Synthetic Biology Congress, which attracted over 400 people in 2014. Attracting experts working in microfluidic development and application, including point-of-care diagnostics, single cell analysis, lab-on-a-chip applications, droplet microfluidics and next generation microfluidics, the conference will examine the latest developments in the technologies and techniques being used for progressing medical research in areas such as disease monitoring, diagnostics, organ-on-a-chip and synthetic biology. The challenges and possibilities of microfluidics will also be examined. Should you be an expert in developing microfluidics technologies, or a scientist using microfluidics to further medical research, the conference will provide an interactive networking forum to answer your queries through a dynamic exhibition room filled with technology providers showcasing their technologies and solutions, networking breaks allowing interaction with your peers, expert led case study presentations, and interactive Q&A panel discussions examining key issues over two days in areas of strategy and technology in microfluidics as well as real life case studies and applications in medical research. This Congress in its 7th year focuses on the emerging technologies and applications in the microfluidics field bringing together biofabrication, bioprinting and diagnostics applications of microfluidics. MNE 2015 is the 41st international conference on micro- and nanofabrication and manufacturing using lithography and related techniques. The conference brings together engineers and scientists from all over the world to discuss recent progress and future trends in the fabrication and application of micro- and nanostructures and devices. Applications in electronics, photonics, electromechanics, environment, life sciences and biology are also discussed. The MME workshop is a well established and recognized European event in the field of Micromachining, Microengineering and Technology for the realization of micro-sensors and -actuators. At the MME workshop scientists and people from industry interested in the field gather annually. The goals are stimulation and improvement of know-how in the field, as well as the establishment of cooperation and friendship between all delegates. Thus MME is arranged so that people can meet in a friendly and informal atmosphere. Therefore the accent lies on mutual discussions around poster presentations rather than on formal oral presentations. The 6th International Conference of Asian Society for Precision Engineering and Nanotechnology (ASPEN2015) will take place on August 15-20, 2015, in Harbin Victories Hotel in Harbin, China. The conference provides a unique international forum for researchers and practitioners from different disciplines to exchange latest results on the precision engineering and nanotechnology. The International Conference of Asian Society for Precision Engineering and Nanotechnology (ASPEN) was co-sponsored by the Chinese Mechanical Engineering Society (CMES), the Japan Society for Precision Engineering (JSPE), the Korean Society for Precision Engineering (KSPE). The ASPEN conference was initiated in ShenZhen, China in 2005, aiming to provide a platform especially for academic and industrial societies in the Asian regions to promote network and collaboration among industrialists, scientists and researchers, acting as a supplement to the International Conference of European Society for Precision Engineering and Nanotechnology (EUSPEN). The overall theme of the ASPEN conference includes Ultra-precision machining and Micro/Nano-manufacturing. The ASPEN conference is held every two years in a city in Asia, as the second in Gwangju, Korea in 2007, the third in Kitakyushu, Japan in 2009, the fourth in Hong Kong in 2011, and the fifth in Taipei on 13-15 November in 2013. The 6th International Conference of Asian Society for Precision Engineering and Nanotechnology (ASPEN2015) will be organized by Harbin Institute of Technology on 15 to 20 August 2015 in Harbin, China. The ASPEN2015 will be co-sponsored by the Chinese Mechanical Engineering Society (CMES), the Chinese Society of Mechanical Engineering (CSME), the Japan Society for Precision Engineering (JSPE), and the Korean Society for Precision Engineering (KSPE). EIPBN, the “3-Beams”, Conference, is the premier conference on the science and technology of nanopatterning. Traditionally focused on electron, ion, and photon beams, (the 3 beams), the technology of nanofabrication covered in this conference has grown to include nanoimprint and molecular self-assembly as well. This conference is the place to hear the newest techniques and the latest advances in patterning and device fabrication technology. DTIP is a symposium including two main Conferences: the CAD, Design and Test Conference devoted to the development of Computer-Aided Design (CAD) tools and design methodologies for MEMS and MOEMS, and the Microfabrication, Integration and Packaging Conference dedicated to the development of integration technologies and packaging for MEMS and MOEMS. Both conferences share common plenary talks including invited talks, panels and special sessions to allow close interaction between both communities. 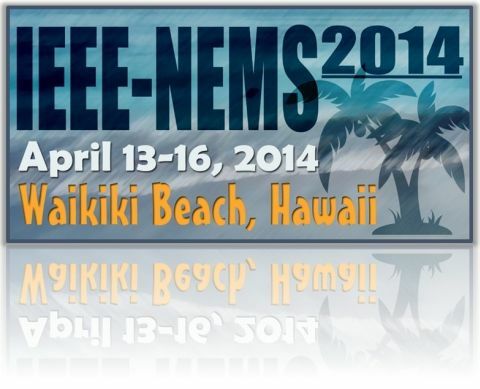 The IEEE-NEMS is a key conference series sponsored by the IEEE Nanotechnology Council focusing on advanced research areas related to MEMS, nanotechnology, and molecular technology. This event will draw in researchers and technology developers in academia and industry from Europe and around the world. Whether you are working in basic research, sensor development, device integration, sample preparation, information management, nano engineering or device manufacturing, we aim to explore the key challenges in developing Lab-on-a-Chip devices. This 3rd edition of PHOTOPTICS will feature 3 different tracks on Optics, Photonics and Lasers, covering both theoretical and practical aspects. Researchers, engineers and practitioners interested in any of these fields are welcome to join us in Berlin and present their work on new methods or technologies, advanced prototypes, systems, tools and techniques, as well as general survey papers indicating future directions. To continue its success of last event at Las Vegas, the conference will bring together the international research communities from various scientific disciplines, including materials science, physics, chemistry and biology, to discuss new and exciting advances that involve microscale and nanoscale materials, techniques and methodologies. The objective of PowerMEMS 2014 is to catalyze innovation in miniature, micro- and nano-scale technologies for power generation and energy conversion. Broadly speaking, PowerMEMS focuses on all aspects of energy conversion and processing at the miniature, micro and nano scales. The conference provides a unique forum for highlighting the latest research results in molecular engineering, microfluidics, nanotechnology, system integration, fundamental biology, and translational. Accurate handling of small and extremely small mass flow rates of both gases and liquids is of paramount importance, driven by numerous economically important applications – in semiconductor industry, analytical instrumentation, food, pharmacy, energy, and micro reaction systems. The focus of this conference is mainly on the technology, components, devices and systems that enable the application in microfluidic systems. Within the Electronics Manufacturing community there has been growing interest in electrochemical deposition, predominantly due to its adoption in a number of advanced technologies including electroless deposition and electroplating of thick metal layers, the electrodeposition of magnetic alloys used in magnetic information storage technologies, as well as the electrodeposition of multilayer films, which have found many applications in the areas of sensors. The purpose of this networking event is to bring together people from industry and academia to consider the state-of-the-art in electrochemical deposition, and to discuss the challenges and opportunities the field represents. The day will be of interest to those working in CMOS fabrication, electrochemistry, and MEMS/microsystem development, as well as anyone wishing to learn more about next generation processing technologies. The IEEE-NEMS is a key conference series sponsored by the IEEE Nanotechnology Council focusing on advanced research areas related to MEMS, nanotechnology, and molecular technology. Prior conferences were held in Suzhou (China, 2013), Kyoto (Japan, 2012), Kaohsiung (Taiwan, 2011), Xiamen (China, 2010), Shenzhen (China, 2009), Hainan Island (China, 2008), Bangkok (Thailand, 2007), and Zhuhai (China, 2006). For the first time, the conference will be held outside Asia. The conference typically has ~350 attendees with participants from more than 20 countries and regions world-wide. The annual conference provides a forum for experts from industry and academia to share the results of their in-depth investigations and engage in interdisciplinary discussions about the creation of micro-manufacturing capabilities. The focus of this conference is mainly on the technology, components, devices and systems that enable the application and biology in microfluidic systems. This year NanoNextNL and MinacNed are organizing the seventh edition of the Netherlands MicroNanoConference. Previous editions enjoyed attendance levels of approximately 450 academics and industrialists, visiting both the exhibition and the conference. Based on this successful formula an overview of the latest developments in micro- and nanotechnology will be given, both from the academic and industrial point of view. This is a unique Conference at the frontiers of both Micro- and Nano- technologies, with a special emphasis on Biological, Chemical and Medical applications. The format includes plenary talks from invited speakers of international renown, giving lectures on significant aspects of the scope, together with a variety of short oral presentations of original new research. Participants from over 15 countries encompassing Europe, America and Asia meet in a relaxed and informal atmosphere, ideal for the creative exchange of ideas and the development of new collaborative projects. The Exhibition gives the opportunity to present the latest developments in nano- and microtechnologies to an informed and active audience. In addition to exhibiting, we are also offering each exhibitor the possibility of participating in “snapshot” presentations during the plenary session. SoC is an annual symposium held at Tampere, Finland - The SoC City. It builds on the tradition of a series of SoC events organized annually since 1999. The mission of SoC is to provide a forum that is fully and comprehensively dedicated to SoC issues. IEEE SENSORS 2011 is intended to provide a common forum for research scientists, engineers and practitioners throughout the world to present their latest research findings ideas, developments and applications in the area of sensors and sensing technology. IEEE SENSORS 2011 Conference will include keynote addresses by eminent scientists as well as Invited Speakers for the Topical Special sessions. The Conference solicits original and state-of-the-art contributions for both podium and regular poster sessions. The International Conference on Microelectronics and Nanotechnology aims to bring together academic scientists, leading engineers, industry researchers and scholar students to exchange and share their experiences and research results about all aspects of Microelectronics and Nanotechnology, and discuss the practical challenges encountered and the solutions adopted. On October 13-15 the premier event for multiphysics simulations will be held in Newton, MA. The program is packed with user presentations, hands-on minicourses and networking opportunities. We are delighted to share this experience with you and hope that you enjoy both the technical and social aspects of the conference. The conference will bring together all people working in the field of nano- and micromechanical testing in materials research. It will provide a forum for discussion of the latest activities in application of nano- and micromechanical testing methods. 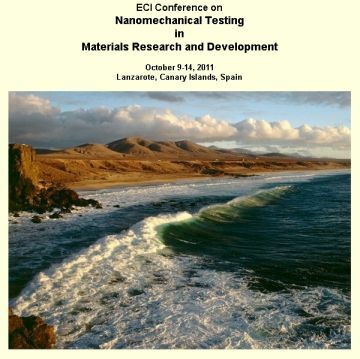 This conference will be a follow-up meeting to the ECI conference on Instrumented Indentation Testing (Fodele Beach, Crete from October 9 - 14, 2005) and Nanomechanical Testing (Barga - Tuscany, Italy from October 11 - 16, 2009. 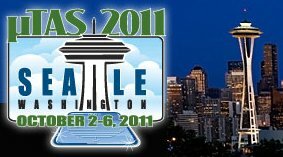 The Fifteenth International Conference on Miniaturized Systems for Chemistry and Life Sciences (µTAS 2011) will be held at the Washington State Convention Center. µTAS 2011 continues a series of Conferences that are the premier forum for reporting research results in microfluidics, microfabrication, nanotechnology, integration, materials and surfaces, analysis and synthesis, and detection technologies for life science and chemistry. The Conference offers plenary talks as well as contributed oral presentations and posters selected from submitted abstracts. We are pleased to invite you to Kota Kinabalu, Malaysia for the 2011 IEEE Regional Symposium on Micro and Nano Electronics (IEEE-RSM2011) which will be held in Kota Kinabalu from September 28th to 30th, 2011. The IEEE-RSM2011 is aimed at bringing together researchers from industry and academia to gather and explore various issues and trends in the field of micro and nano electronics. CENICS 2011 continues a series of events initiated in 2008, capturing the advances on special circuits, electronics, and micro-electronics on both theory and practice, from fabrication to applications using these special circuits and systems. The topics cover fundamentals of design and implementation, techniques for deployment in various applications, and advances in signal processing. The 5th annual Lab-on-a-Chip European Congress is designed to review existing and new life science applications of microfluidic technologies. The conference will be part of the European Lab Automation event. Organised with the collaboration of the EU's Microsystems and ICT for Health units since 2003, the personalized health forum seeks to identify and address the key challenges to successful "pHealth" provision, challenges which hinder the commercialisation and clinical uptake of viable healthcare solutions. This is achieved through the strategic bringing together of key players in the healthcare provision chain – researchers, industrialists, medical doctors, hospital administrators, healthcare policy makers and other interested bodies. pHealth is therefore not just another conference but rather a forum for interaction, discussion and action. Smart Management and Routing of Energy and Power; Adaptive Control of Electric Motors and Drives; Energy-Efficient Auxiliaries; Power Grid Connection; System Integration of Battery Cells; Thermal Management and Comfort; Bus-based Communication and Control. Optimized Engine Performance; Advanced Injection and Closed-loop Control of the Combustion Process; Hybridization and Recuperation; Waste Heat Recovery; Eco Driving; Emissions Measurement and Control. Pedestrian Recognition; Intersection Control; Lane Departure Warning; Stability Control; Night Vision; Autonomous Handling of Routine Conditions; Intelligent Speed Adaptation; Sensing of Driver’s Intentions; Driver Information on Traffic. Interaction Between the Driver, the Vehicle, and the Road; Links to Power and Data Infrastructures; Green and Dynamic Routing; Autonomous Driving; Car-to-Car/Car-to-X Communication; Road Network Monitoring; Multi-Modal Travel Advice; on-Board Information and Entertainment. Smart Sensors and Actuators; Chip Architectures; Power Electronics; Interconnects; EcoDesign; Broadband Communication; Integration and Modularity; In-Vehicle Diagnostics; Lightweight Materials; Hardware-in-the-Loop-Testing; Standardization. The focus of this meeting is to communicate research utilizing micro- and nanofluidic devices that further physical and chemical understanding of current research problems in chemistry, physics, and biology. This seminar will bring together students and postdocs with a broad range of interests and experience, organized around the theme of research that creates improved understanding of physicochemical processes while speaking directly to the microfluidic application space. The ICOME conference will be an international English-language event. Presentations are by invitation only, and poster presentations are planned for other attendees. The conference will not only provide a venue for in-depth scientific discussion but also an opportunity for finding potential new project partners, new forms of scientific collaboration and funding sources. Last but it least, the event should provide a forum for young Chinese scientists and students to discuss their work with some of the leading figures in the field. The International Symposium on Microchemistry and Microsystems (ISMM 2011) will be held in Seoul, Korea, from June 2 to 4, 2011. ISMM is the international forum on Micro Total Analysis Systems (μTAS) in Asia region. Following Kanazawa (2009) and Hong Kong (2010), the main topic in the year 2011 will be "Future of Miniaturized System". ISMM 2011 in Seoul will be jointly held at the same place in the conjunction with an Annual Spring Meeting of the Korean BioChip Society. 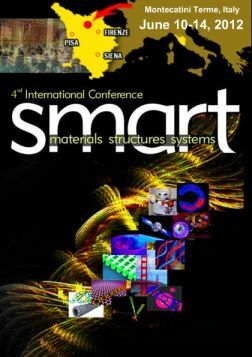 2010 6th International Conference on MEMS NANO, and Smart Systems (ICMENS 2010) is one of the leading international conferences for presenting novel and fundamental advances in the fields of MEMS NANO, and Smart Systems. It also serves to foster communication among researchers and practitioners working in a wide variety of scientific areas with a common interest in improving MEMS NANO, and Smart Systems related techniques. THERMINIC Workshops are a series of events to discuss the essential thermal questions of microelectronic microstructures and electronic parts in general. These questions are becoming more and more crucial with the increasing element density of circuits packaged together and with the move to nanotechnology. These trends are calling for thermal simulation, monitoring and cooling. Thermal management is expected to become an increasingly dominating factor of a system’s cost. The growing power dissipated in a package, the mobile parts of microsystems raise new thermal problems to be solved in the near future necessitating the regular discussion of the experts in these fields. Finally, there is an increasing need for accurate assessment of the boundary conditions used in the analysis of electronic parts, which requires a concurrent solution of the thermal behaviour of the whole system. This year THERMINIC will address in addition to the “traditional” thermal management problems, also stress and thermal-stress-related-reliability issues, both in micro- and opto-electronics fields. These issues, including various nanotechnology applications, are of significant importance and of high interest to the engineering community engaged in the field of thermal phenomena in “high-tech” systems. The International Conference on Electric Machines and Drive Systems is the premier forum for the presentation of new advances and research results in the fields of Electric Machines and Drive Systems. The conference will bring together leading researchers, engineers and scientists in the domain of interest from around the world. Since its establishment in 1987, the EUROSENSORS series of conferences are the only European forum to cover the entire field of Sensors, Actuators and Microsystems. The Eurosensors conference provides an excellent opportunity to bring together European scientists and engineers from academia, national research institutes and companies to present and discuss the latest results in the general field of solid-state sensors, actuators, micro- and nanosystems. Invited plenary and keynote speakers will give first-rate reviews of the state-of-the-art and present stimulating highlights. Authors will be given the opportunity to emphasize the substance of their work during oral presentations and poster sessions. Ample time will be available during the poster sessions for discussion on results and new ideas. As in the past, the Eurosensors conference will offer an attractive meeting place where new and important achievements can be discussed.